Dhoni not being captain anymore will help both his batting and wicketkeeping, said Gavaskar. Sunil Gavaskar is glad that MS Dhoni has only quit limited overs captaincy and not retired as he feels the poster boy of Jharkhand still has a lot to offer to the Indian team. “If he had quit as a player, then I would have the been the first one outside his house, having a dharna asking him to make a comeback. As a player, he is still a destroyer. He change fortunes of the game in a single over. India needs him as a player very very badly. I am happy that he has decided to stay on as a player,” Gavaskar told a Hindi news channel. “Yes (it will). Virat would definitely use him at number four or five because having him further down the order doesn’t make any sense. Yes, he is a finisher but he can play a big innings at four or five and still end up as a finisher. “The wicketkeeping will be a lot easier because he will not be thinking about the bowling changes and field placements, which can sometimes distract you,” felt Gavaskar. The former India captain also sees Dhoni and heir apparent Virat Kohli complementing each other on the field. 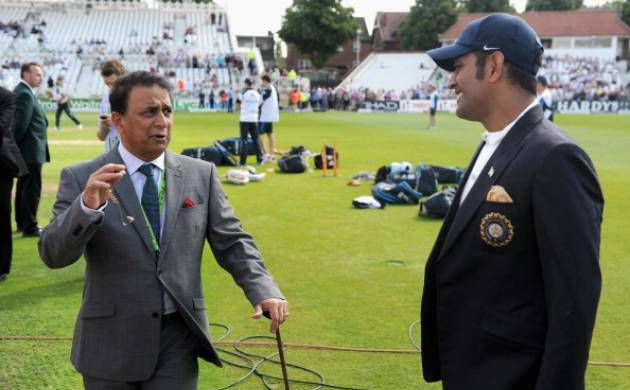 Gavaskar was not surprised by Dhoni’s decision to step aside as it was only a matter of time. “I don’t think it really is a surprise but it has come a little bit early. I had thought that he would want to captain till the Champions Trophy where India are the defending champions. May be after that he would hand over the reins to Virat Kohli. But considering the tremendous success the Test team has had under Kohli, I am not too surprised that MSD has decided to hand over the reins to Kohli. “The decision was bound to come sooner or later. It has come sooner that we all anticipated. Virat has shown over the last couple of years, as captain of RCB, that he is ready to take the responsibility. When we hand over captaincy, we always concerned how it will affect that individual’s speciality. In Virat’s case, we have seen that it doesn’t affect him at all,” said Gavaskar. Asked to comment on Dhoni’s habit of surprising the world, Gavaskar said: “Even in Australia it came as a surprise. One thought that he would complete the series and quit after that and stay on as a player. But he quit Test altogether. Here at least he is available as a player. So Virat will have the benefits of MSD’s vast experience as a successful ODI and T20 captain. On asked Will Dhoni continue till the 2019 World Cup, Gavaskar said, “Clearly, it depends on his desire and form. As of now, there doesn’t seem to be too many options (after Dhoni) available but cricket is a funny game. When you think there isn’t anybody after Dhoni, somebody comes out of nowhere to take his place." “In the meanwhile, lets just enjoy MSD as he plays out his final few years in India colours. Cricketers like MSD come once in a century. He brought a lot of flair and unpredictability in Indian cricket. Team has become positive and attacking under Dhoni. It will be his biggest legacy,” added Gavaskar.